Ultimate Smartfit Challenge is a two-day event taking place in the beautiful city of Timisoara on 17th and 18th of September 2016 powered by Smartfit Studio. Join us for an event full of spectacular challenges and remarkable athletes that you will not forget! Registration opens on 25/08/2016 and closes on 15/09/2016. 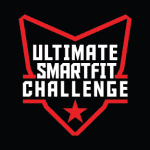 In order to register please click here: http://ultimatesmartfitchallenge.ro/inscriere/ . All registerd athletes will be invited to finals, 17th & 18th September in Timisoara.